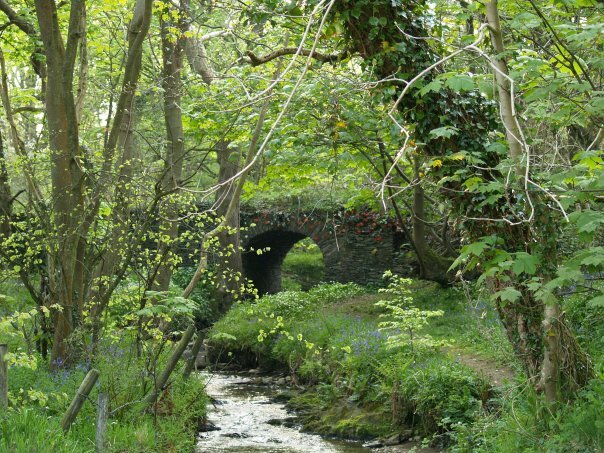 A superstition is to greet the fairies (an English term for the Mooinjer Veggey; never called fairies or ferrish by the Manx and not of similar disposition to the English fairies) when crossing the fairy bridge; it is supposedly unlucky not to. In the 1970s and 1980s is was reportedly the usual fashion to advise a visitor of the myth on the journey south from Douglas or North from the Airport, timing the story such that one was required to say "Good morning Fairies!" just as the teller and his guest(s) began crossing the Fairy Bridge. This would subsequently be repeated by the same or other tellers, leaving visitors perplexed as to the tellers' beliefs.